Sixers-Wizards preview: Looking for rare win in D.C. The Sixers have lost their last seven series games against the Wizards in Washington. They are actually 6-20 in their last 26 road games versus the Wizards. 9 Dario Saric PF 6-10 14.6 ppg. 6.9 rpg. 21 Joel Embiid C 7-2 23.9 ppg. 11.2 rpg. 17 J.J. Redick SG 6-4 16.8 ppg. 3.2 apg. 25 Ben Simmons PG 6-10 16.7 ppg. 7.4 apg. Injury report: Markelle Fultz (shoulder rehabilitation and working on his shot, out); Justin Anderson (sprained right ankle, out); Demetrius Jackson (left adductor strain, out); Furkan Korkmaz (Lisfranc injury, left foot, out). 22 Otto Porter, Jr. SF 6-8 14.5 ppg 6.4 rpg. 5 Markieff Morris PF 6-10 10.9 ppg. 5.7 rpg. 13 Marcin Gortat C 6-11 8.7 ppg. 7.9 rpg. 31 Tomas Satoransky SG 6-7 6.4 ppg. 2.4 rpg. 3 BradleyBeal PG 6-5 23.7 ppg. 4.3 apg. Injury report: John Wall (left knee surgery). Sixers hold a 179-120 series advantage. 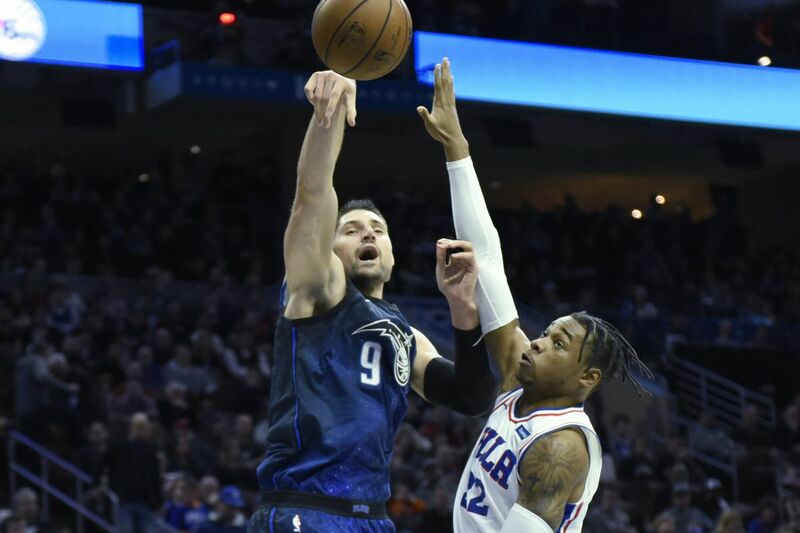 March 4: 8 p.m., at BMO Harris Bradley Center, Sixers vs. Milwaukee Bucks.